Shipments of smartphones to the countries of the Gulf Cooperation Council (GCC) have increased for the first time since the first quarter of 2017. IDC said that it is a significant sign of stabilisation for a market that has suffered five consecutive quarters of declines. Feature phones continued to grow from strength to strength in Q3, with shipments to the GCC increasing 6.7% on a quarterly basis to reach 1.9 million units. This meant the overall GCC mobile phone market saw a combined total of 5.9 million units shipped in Q3. Saudi Arabia was the region’s top-performing market in Q3, with overall mobile phone shipments increasing 8.4% compared to Q2. “Additionally, new regulations requiring phones to carry IECEE certification have helped boost official shipments at the expense of grey market imports, while restrictions on the kingdom’s 2G network have seen an influx of cheaper 3G and 4G smartphones to fill the gap,” said Kafil Merchant, a research analyst. Kuwait’s overall mobile phone market saw growth of 2.6% in Q3 while the rest of the region was characterized by declines, with overall mobile phone shipments down 4.2% in Bahrain, 4.3% in Oman, and 7.3% in the UAE. 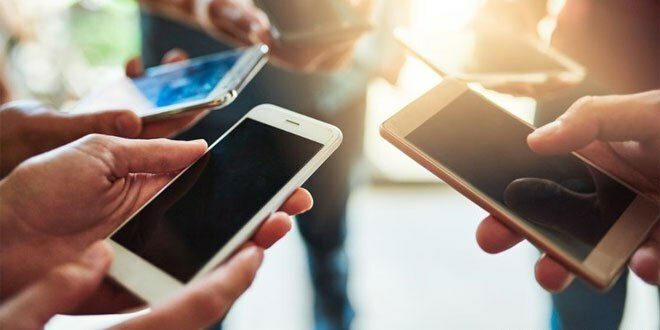 “The UAE mobile phone market is being hampered by an overall lack of disposable income and job security in the country,” said Nabila Popal, a senior research manager at IDC. IDC said Samsung maintained its lead in Q3 with 31.2% share of the GCC market, despite suffering a 3% decline in shipments. Apple and Huawei followed with respective shares of 25% and 18.7%.